New research into one of the most influential videogame characters of all time reveals as much about contemporary capitalism as it does about the history of gaming. From consumption to addiction, and from dance music to the welfare state, the work by Dr Alex Wade at Birmingham City University offers a guide through the maze of western society through the lens of Pac-Man. Published by Zero Books, ‘The Pac-Man Principle: A User's Guide to Capitalism’ focuses on the iconic “pill-popping, yellow pie chart”, who has appeared in over 60 video games on virtually every games platform ever released since 1980. Although iconic, Pac-Man has not been subject to sustained critical analysis until now. 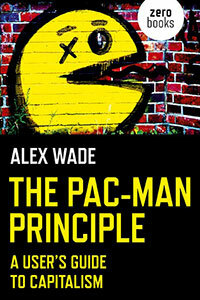 Dr Wade’s book helps to fill that gap, providing an extensive but accessible analysis of the influence of Pac-Man on the way that we live in contemporary western societies. 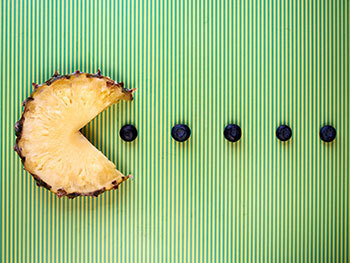 Beginning with Pac-Man’s origins – including dispelling the urban myth around a pizza slice being an inspiration to the character’s origins – Wade reveals why Pac-Man was as appealing to women as well as men and how its maze structure pulls on classical stories from the Minotaur to ‘Hansel and Gretel’. “Pac-Man arises primarily from consumption and, as we all need to eat, it’s easy to see why the traditional distinctions between work and play, private and public, black and white, and male and female do not apply to this character. Despite this seemingly diverse approach to gaming, the pursuit of equality through the pleasure principle of consumption is also good for profits. My research also focuses on Pac-Man’s antagonists, the ghosts. For example, the high score records that are achieved when defeating these enemies have now developed into other types of surveillance in the form of credit score, likes on Facebook and follows on Instagram – all of which people today attempt to improve and increase. The book also includes an afterword by Toru Iwatani, the Japanese video games designer who created the original ‘Pac-Man’ game. “Video games are unusual products that differ from other industrial goods in which electrical power, machines, and creative work are integrated. They are an aggregation of a variety of academic disciplines, including engineering, literature, the arts, and psychology, and can be considered a cultural tool for the ‘fun’ required by society. Dr Alex Wade is currently researching British videogames and their link to the Cold War, including individuals such as Dina St Johnston, the female founder of the first UK software house, and Robert Maxwell, infamous owner of Mirror Group Newspapers and a major influence on the UK’s position as a global player in the videogames market.